The principal of at least one North Carolina school facing the prospect of a charter takeover is pushing back. The News & Observer posted a video Friday of Chris Germanoski, principal at Selma Middle School in Johnston County. Selma Middle is one of 41 low-performing, public schools remaining on the state’s list of schools eligible for charter takeover next year, part of North Carolina’s controversial new Innovative School District (ISD). Schools included on the state list did not meet or exceed growth growth in any of the previous three years and finished with school performance scores in the bottom 5 percent statewide. They also, according to state officials, would not have adopted any of the state’s established reform models in the prior year. Policy Watch reported last week on the mixed reactions from school district leaders across North Carolina whose local schools were named. It’s worth noting Selma Middle’s district, Johnston County Schools, was one of two school systems—the other being Durham Public Schools—that officially asked for state leaders to look elsewhere to test the charter takeover model, according to a WRAL report. That said, ISD Superintendent Eric Hall said last week that opposition from local leaders won’t sway state leaders from choosing any particular school. Seven schools have already been removed from the list of eligible schools because they are the recipients of federal grants aimed at school turnaround. 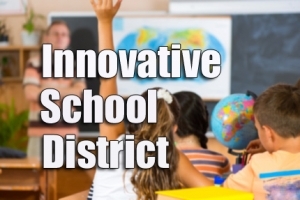 Hall is expected to narrow down the list further by October, with the State Board of Education scheduled to tap two schools for the program’s initial year in December.